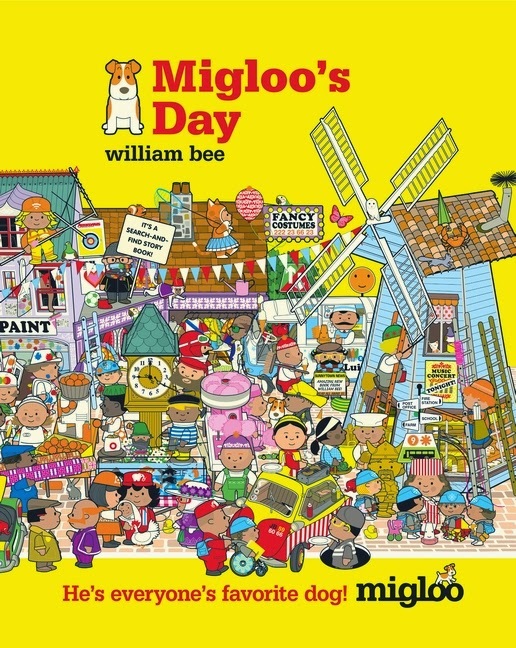 Migloo's Day is yet another fantastic book from a new favorite of mine, William Bee. 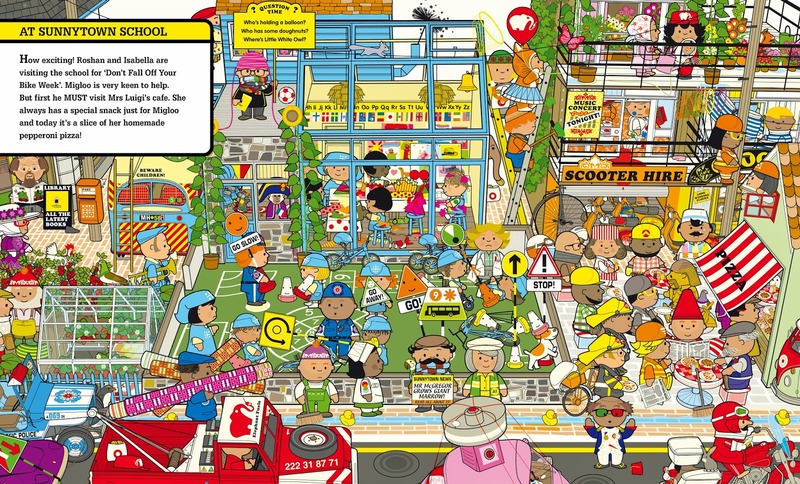 With Migloo's Day, Bee creates a cross between a Richard Scarry book and a Where's Waldo look-and-find extravaganza, making himself a character in the book. 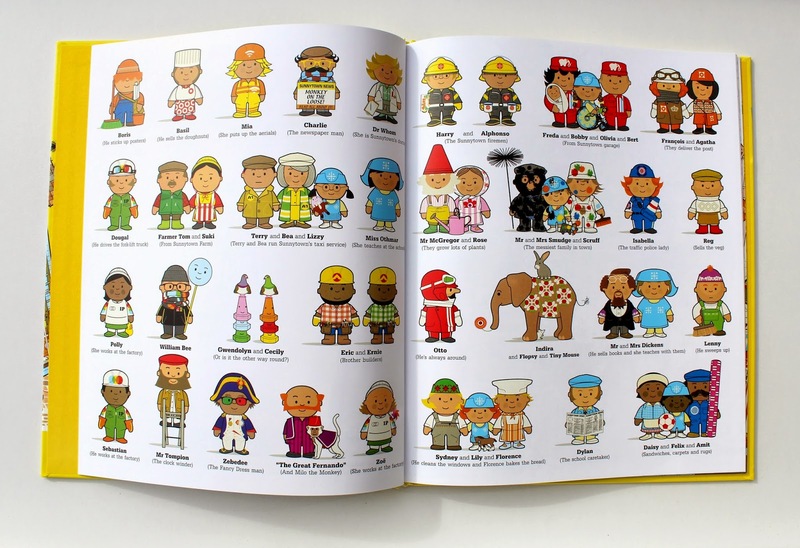 Bee begins Migloo's Day with an introduction to the more than 65 culturally diverse characters who inhabit Sunnytown. On each page, the scarf-wrapped Bee presents challenges to be found amid the hustle and bustle as Migloo makes his way across town. Bee's illustrations pop with bright colors and are packed with patters on everything from rolled up rugs to china cats to the elephant, Indira. 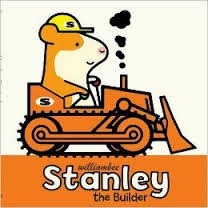 On top of his great design sense and illustration style, Bee has a sweet sense of humor. There is a "Dr. Whom," and Mr. and Mrs. Dickens ("he sells books, and she teaches with them") who look like their namesakes. My favorites are the pigeons, Gwendolyn & Cecily, if only for their names. Each busy, two page spread, like the one above, is followed by a spread that moves the story along and makes a nice break from the intensity of the look-and-find. There is so much going on, but the spreads are so much fun to pore over. 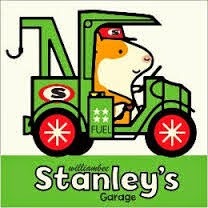 Everywhere you look their are pockets of activity and silliness. 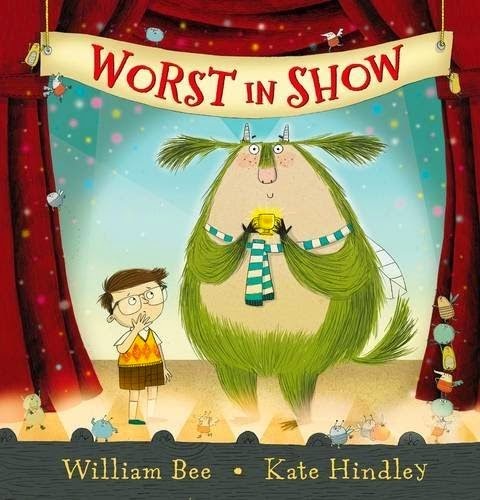 Bee even includes illustrations of characters in Migloo's Day reading his previously published books, which I love. The final pages of Migloo's Day are "William Bee's Busy Page," where there are even MORE challenges for readers. While he is a talented illustrator, as an author, Bee has been paired with wonderful illustrators, mixing things up nicely. 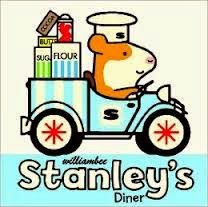 I can't wait to see what William Bee does next! 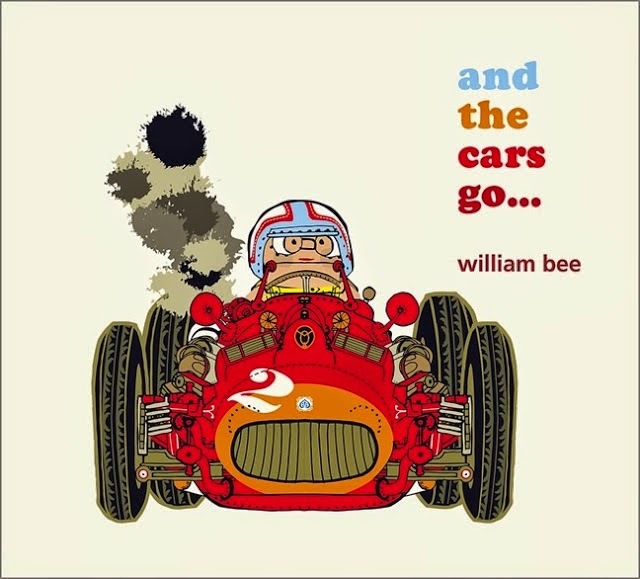 More books by William Bee!